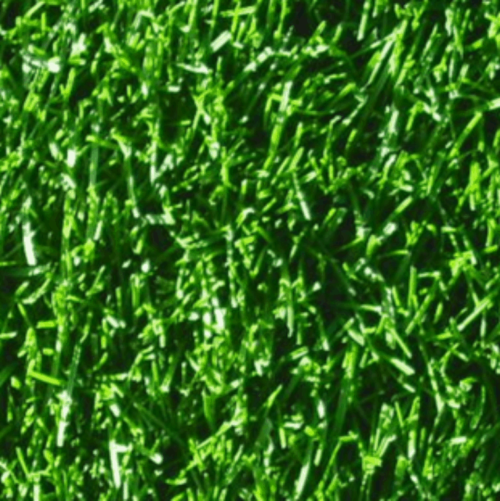 Perfect Lawn is a mix of fine leaved fescue turf grasses and brown top that can produce a very attractive fine smooth textured show lawn for people prepared to work towards the perfect lawn. Requires frequent low mowing to be at its very best, has average drought, shade, wear and tear tolerance. Perfect Lawn is also used in golf courses, landscaping and amenity areas where a fine finish is required and there is only passive use. Eliminate existing grass, weeds with a glyphosate weed killer, or by hand before starting to prepare the seed bed. After cultivation leave for several days to settle – the longer the better, ideally five to six weeks or more. Before the next stage of preparation, remove any weeds that have germinated. For the best lawn you will need to get it level, tread or roll the area several times in different directions and then rake several times also in different directions. Once firmed, rake several times in different directions. 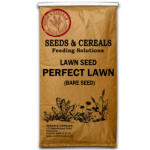 Apply and rake in 70g per sq m of seeds & Cereals Lawn Starter Fertiliser. Divide the seed quantity in half. Sow half the seed over the whole area by working in parallel rows lengthways. Repeat the process with the remaining seed, working in parallel rows width ways. If using a seed distributor follow the same method, but calibrate the seed distributor. If the weather remains dry for two or three days, water gently with a light sprinkler. If dry conditions persist, repeat watering as necessary while the seeds are germinating and the young seedlings are becoming established. Mow new lawn at about 5-7.5cm (2-3in) high, ensure the mower blades are sharp. Try not to overuse the new lawn during the first season. 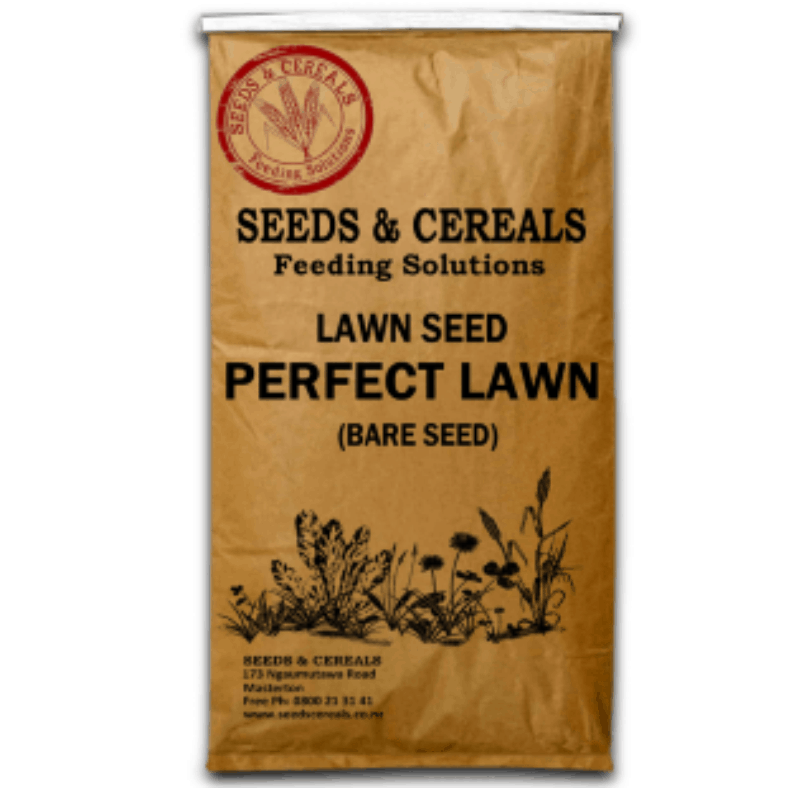 Feed new lawns with Seeds & Cereals Lawn Boost three months after sowing. Weed seedlings are usually killed when mowing begins, but the seedlings of perennial weeds are best weeded out by hand. Coarse grasses may appear in new lawns, these are best removed promptly by hand, as they can’t be killed by lawn weed-killers. Selective lawn weed-killers should not be used on a new lawn earlier than six months after germination.